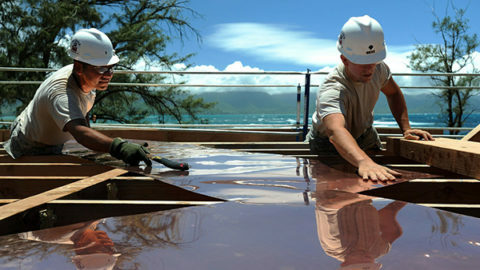 Flat roofing is popularly associated with commercial and industrial buildings. Once you visit business districts or establishments, you will notice how dominant low slope roofing is. 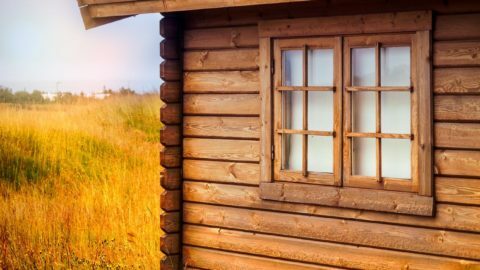 When it comes to residential properties, the norm is to build pitched roofs to achieve a desired homey appearance. However, times have changed. Residential roofing has been revolutionized in the sense that people are not limited to the usual choices. In fact, to create a modern appeal, there are owners who go for what we call a residential flat roof. If you are interested in building g a non-traditional roof, we will help you find the best material for flat roof residential property. 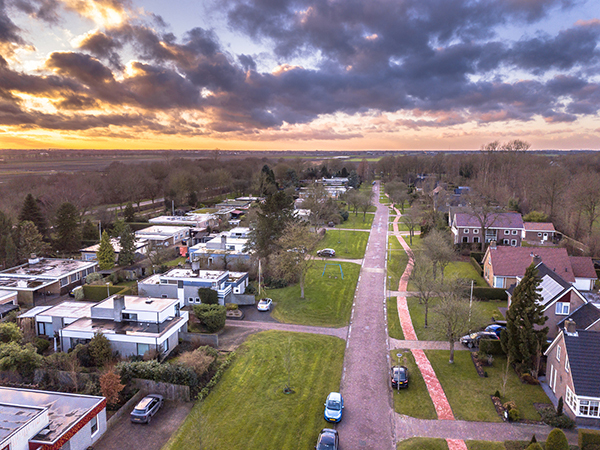 Aerial view of residential properties with a mix of flat roofing and pitched roofing systems. Before we go through the materials one by one, let us first identify the reasons why building a low slope roofing for your home is advisable. Flat roofing may initially appear to be entirely flat with a wide surface. It may not be too obvious but even if it seems flat, there are slight slopes and pitches to drain or shed water. Flat roofs have unique qualities that make them a great option not only for commercial use but also for your homes. Find out what they can offer by looking into their benefits. Due to its compact design, you can fit a flat roof even in smaller structures. For instance, you want to extend your property, a flat roof can accommodate even the trickiest parts of the house. It is also ideal for dormers, garages, porches, and many more. 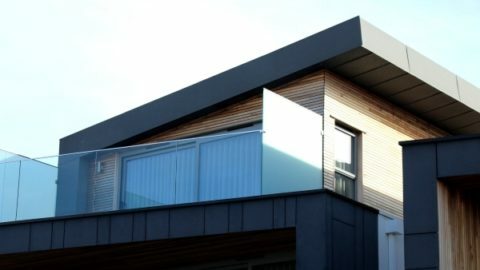 In connection with this, flat roofs can also offer extra spaces. Think about an extra outdoor space that you can transform into a more functional place. 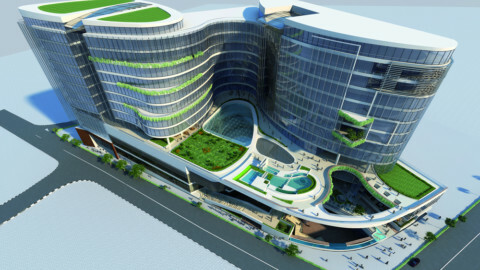 You can convert it into a penthouse for private events, garden area, etc. Wonder why it’s a top priority of business owners? Yes, you guessed it right! 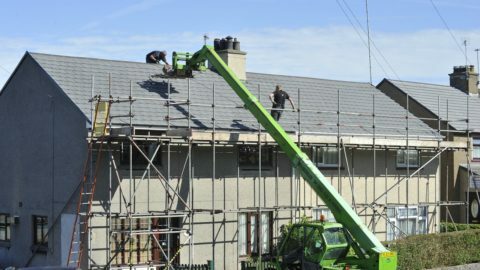 It’s the affordability that makes flat roofing a perfect choice also for your homes. It is cost-effective due to the fact that the materials and labor generally cost lower than pitched roofing. As for the installation, it is also faster and easier. In the construction process, the best material for flat roof residential is more lightweight as compared to other roofing systems. Hence, it is definitely more manageable and less complicated to handle. This affects labor cost as well. As we have explained in the previous point, it all boils down to lower costs. Just imagine how difficult it is to access a pitched roof. It is risky and could also be problematic. 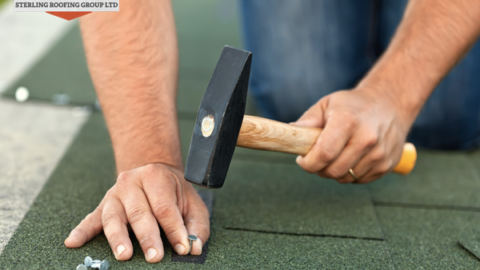 With a flat roof, it is simpler since it has a surface that professional roofers can walk on. Due to this, repair and maintenance are also done safer and faster. We all want to know what is the best material for flat roof residential home. Well, the first step is to identify what the options are. Learn about the flat roofing materials’ excellent features as well as the drawbacks that are involved. Then, you also have to check if the performance of this material would align with your priorities as a homeowner. In reality, it’s not the question of what’s the best out there. Instead, you should find the best match for your long-term plans and preferences. 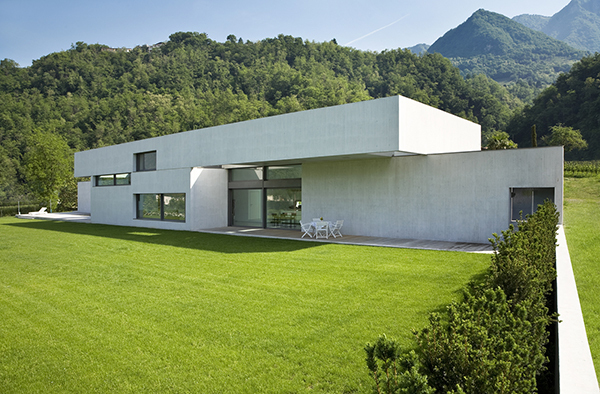 Flat roofs can exude that modern minimalistic approach. 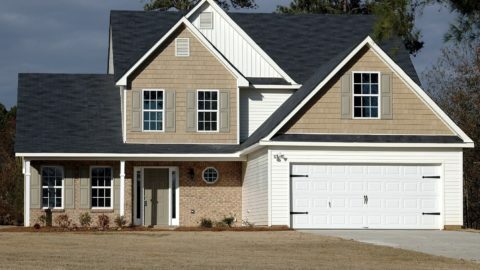 To begin, we have identified the most common flat roofing systems that are used for residential. Metal tops the list for it is one of the most popular flat roof materials. It has a proven track record when it comes to durability and longevity. This can last for up to 50 years if given the right maintenance. Metal is also energy efficient as it can effectively reflect heat coming from the sun. Hence, it helps homeowners cut down on electricity consumption. A win-win situation for you and the environment. 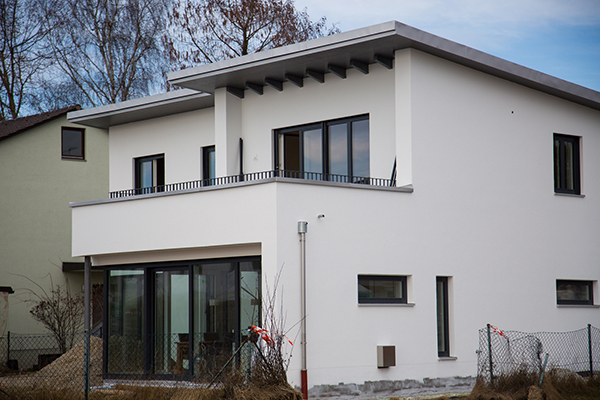 Homeowners can select between steel, aluminum, zinc, and copper as their choice of metal. The difference among these would primarily be the cost but they are all lightweight materials. What’s great about metal is that they can resist punctures, water, fire, and other extreme weather conditions. It is also very stylish depending on the theme that you are after. Aside from being expensive, another downside is that it can be prone to rust. You can ask your local roofing contractor for coatings that can protect it against rust and other elements. In more technical terms, rubber is also known as ethylene propylene diene monomer (EPDM). It’s a synthetic waterproof material composed of recycled rubber that is seamed together making it an eco-conscious choice. There are other benefits including resistance to harsh weather conditions, durability, affordability, and flexibility. Homeowners who want to consider rubber should watch out for leaks. The key is to schedule regular inspections and maintenance to prevent premature damages. 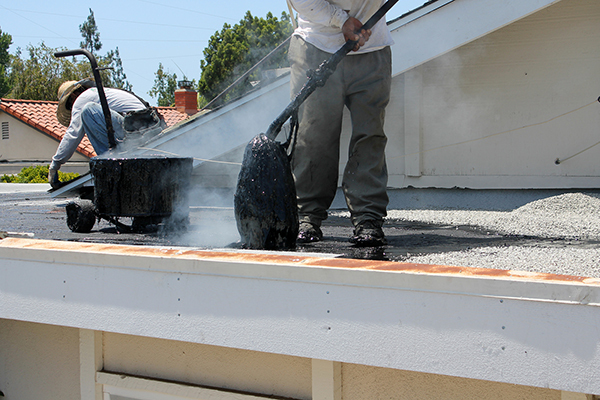 A built-up roof (BUR) is technically tar and gravel. It is highly durable and long lasting. Its expected lifespan is up to 40 years with proper installation and regular maintenance. While this is waterproof and extremely tough, tar could shrink over time due to external elements like sun exposure. It can also be difficult to install as compared to more lightweight materials due to its weight and composition. Ongoing installation of tar and gravel on a residential property. This single-ply material is durable and sturdy. It is also a bit more complicated to install as it is rolled on to the surface using a blowtorch securing it in place. On the flipside, modified bitumen is weather resistant and easy to repair. Maintenance is also crucial as damages can shorten its lifespan. Polyvinyl chloride or PVC is also reinforced with fiberglass or polyester. It is resistant to fire and ultraviolet rays. PVC is known to be durable and waterproof. However, as it is produced from chemicals, it is potentially harmful to the environment. Thermoplastic polyolefin or TPO does not have chlorine, unlike PVC which makes it less harmful to the environment. Similar to PVC, it can retard flame and reflect UV rays. When properly installed, it can effectively prevent penetration of moisture. TPO is also highly durable and easy to install because it is lightweight. This is one of the first flat roofing systems that became available to the market. As a matter of fact, people from centuries ago have been using this already. Hence, it is proven to be tough and long-lasting. Asphalt is difficult to handle. Workers build reinforced joints to support the material during installation. It may be an initial low-cost option but labor cost may go up. These are your options in finding the best material for flat roof residential home. If you noticed, they are all highly durable. It could get confusing at this point. However, keep in mind that there are other considerations that you need to think about. You have to find out the costs. You also need to know if the material would fit your design preferences. What’s the weather like in your area? Will this particular material withstand the harshest weather? 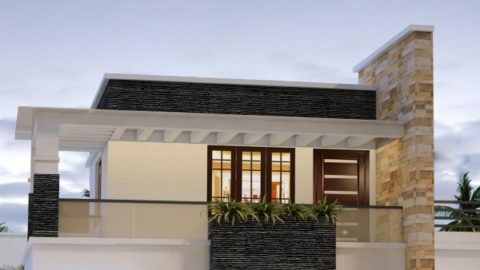 Since there are a lot of factors involved in selecting the best material for flat roof residential, you would definitely need guidance from the experts. If you have questions or you’d like to see your dream house come alive, get in touch with us today. Sterling Roofing Group is always ready to help. Call us at 902-702-3107 and receive a free estimate.